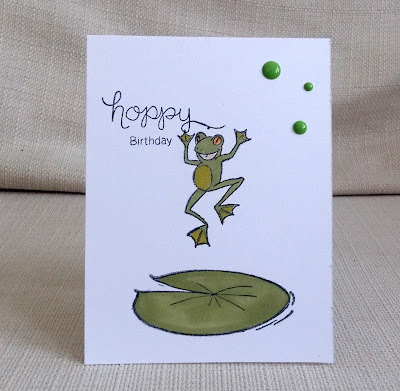 This card is for his birthday. I used Marianne Designs stamps coloured with Promarkers and sentiments by Newton's Nook. 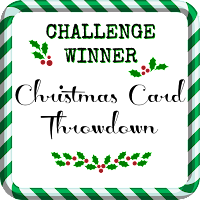 Two things I've not been very good with so far this year...making Christmas cards and doing my self-imposed challenge - Pro-Am Showdown. The idea is to be inspired by some of the many mass-manufactured cards (the professionals) and make my own homemade version (the amateur). Like the original, I wanted to have a large image with a hand-drawn look. 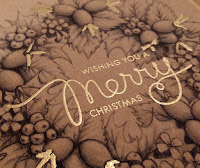 I realised I have no suitable stamps that big, so I looked through my digistamps and found the wreath. 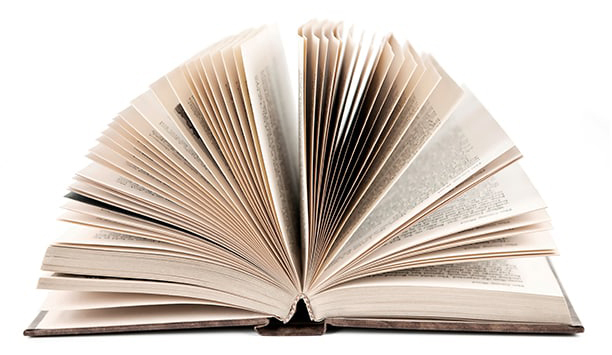 (Unfortunately there was nothing on the file name to say where it came from - I suspect it was a prize originally). 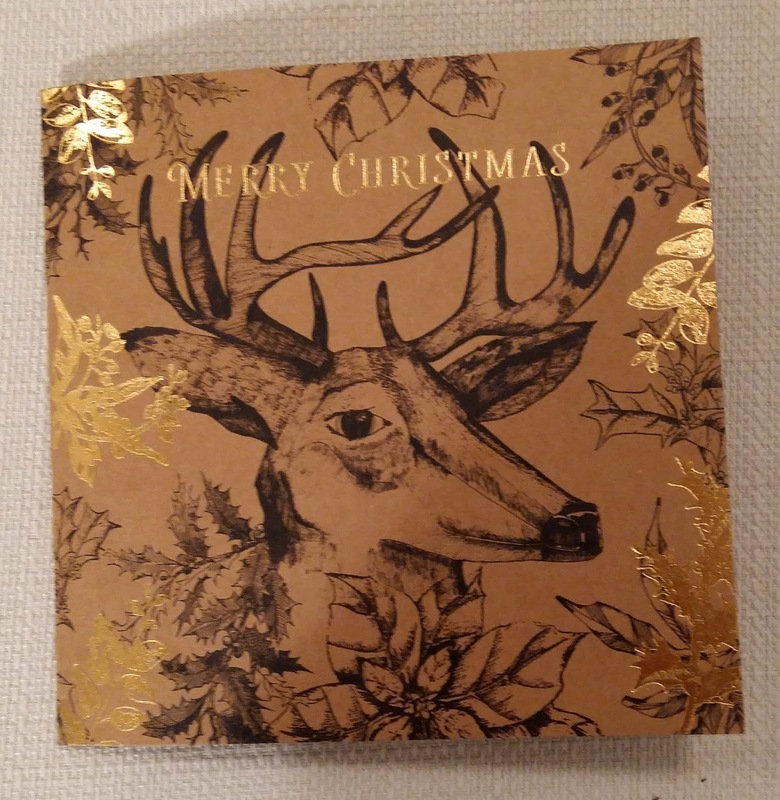 I stamped and gold-embossed the sentiments (Mama Elephant and Avery Elle) and them used an embossing pen to trace some fronds and gold embossed them. 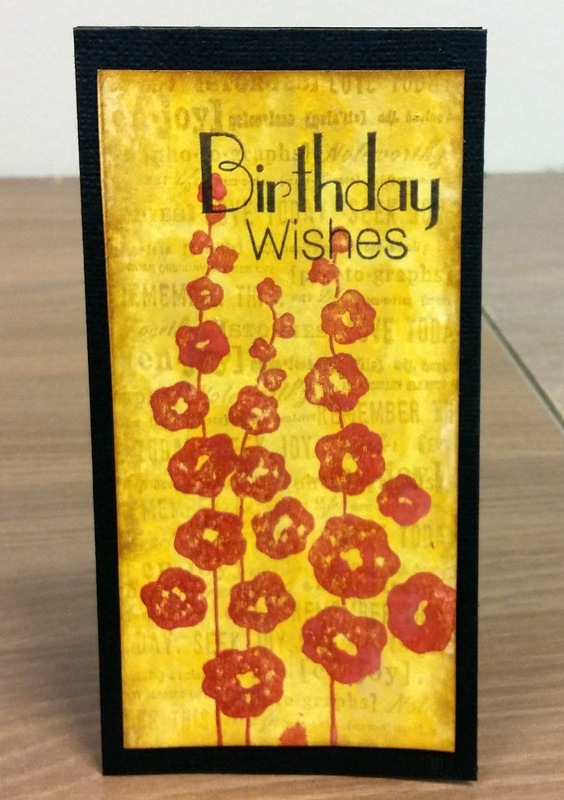 City Crafter Challenge Blog - Birthday Case ~#4 with Prize! 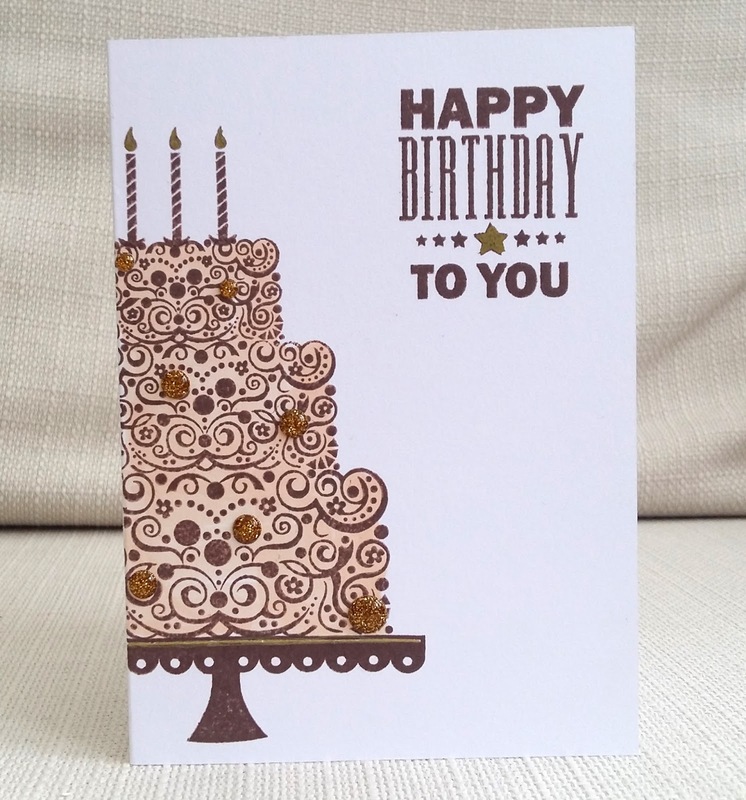 It's the final week of our birhday month at City Crafter and the last chance to win a prize. 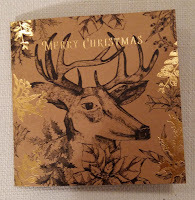 This week it's my turn to provide the card to CASE (above) . 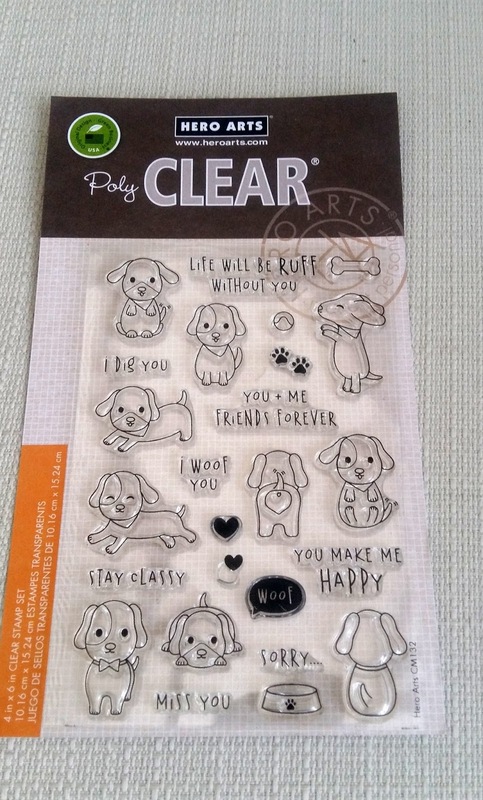 I used a stamp set by Docrafts and a sentiment (?) 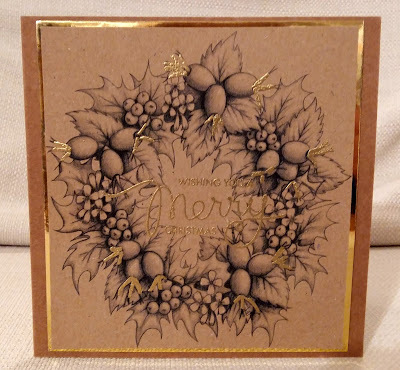 all stamped in brown , plus gold glitter dots. 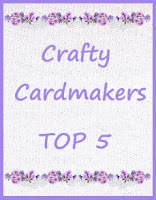 Case my card and link up at City Crafter Challenge Blog, and then hop around and leave comments at the following blog list. 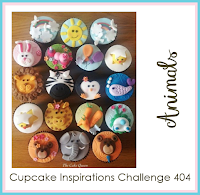 I hope to see your creation in our gallery. Here's a slightly unusual wedding card - one of the couple is a helicopter pilot. 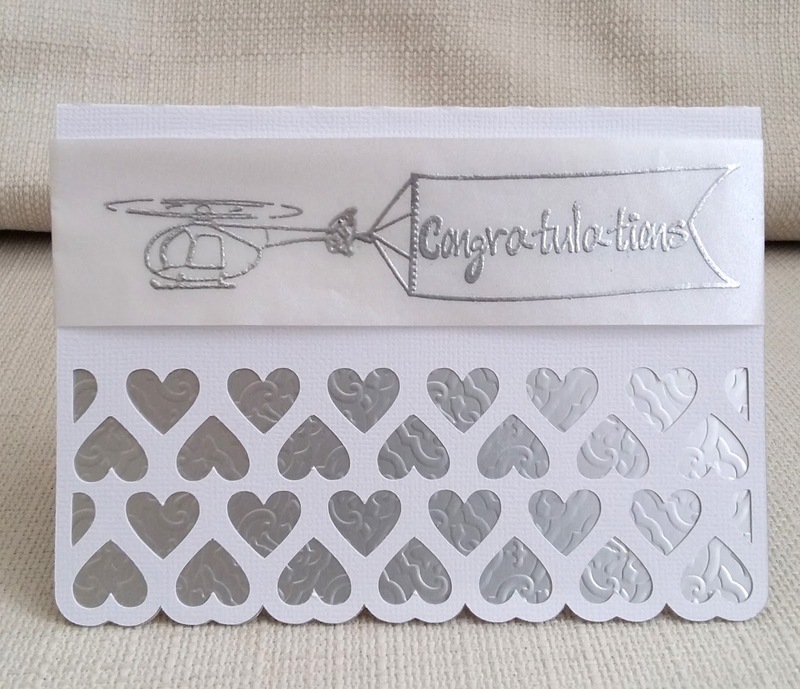 On vellum, I stamped and silver-embossed the helicopter and banner (from a set that was free with a magazine). 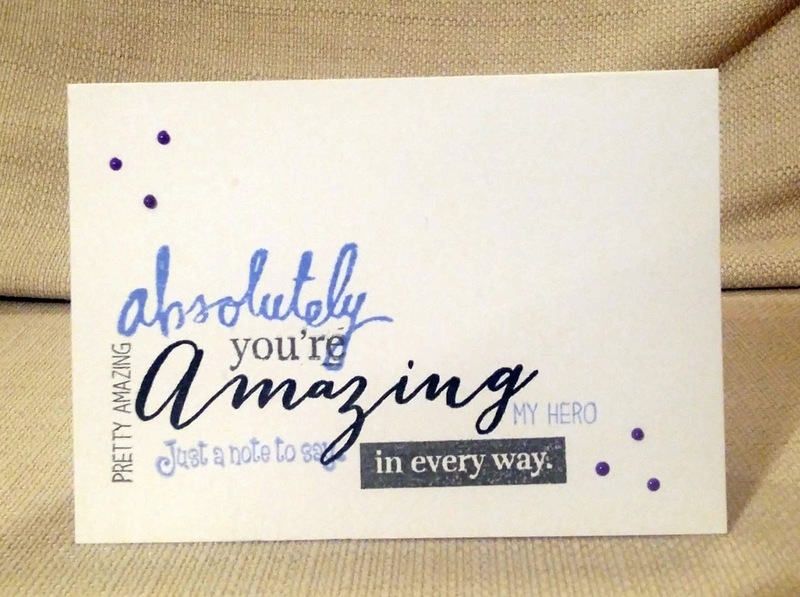 The sentiment is Papermania. 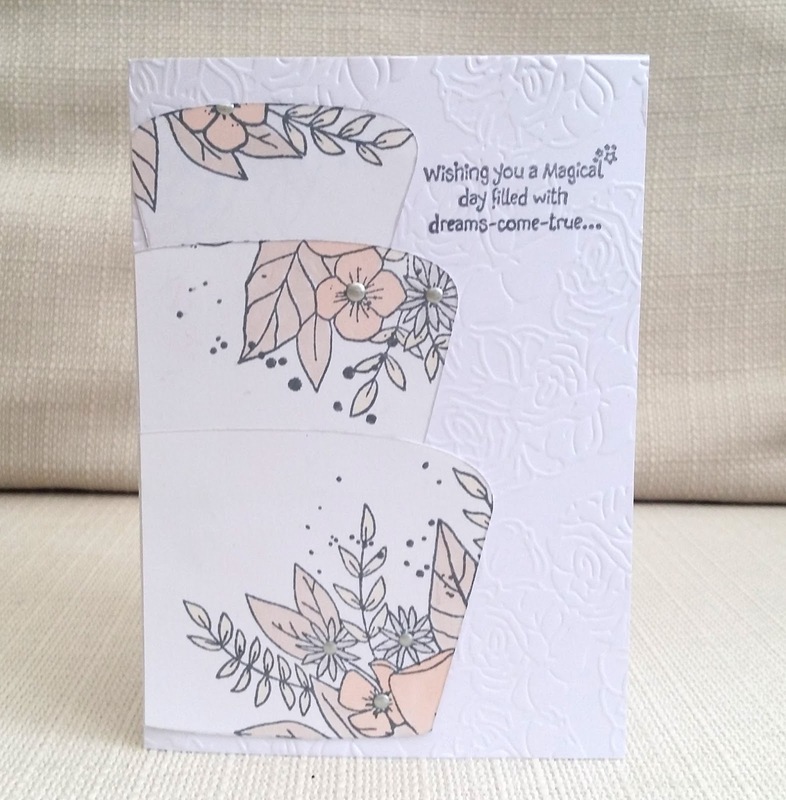 The card base was cut on the Silhouette (a free cutting file by Bird) and I layered some dry-embossed silver card behind the heart-shaped holes. 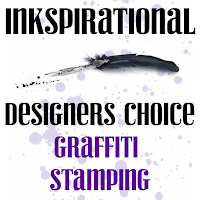 Our new challenge at Inkspirational is Graffiti Stamping. 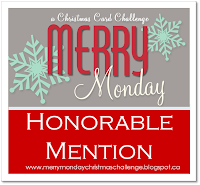 This is new to me and, even though this card wasn't my first attempt, it isn't a good example of it. In fact, if it was street graffiti , I think I'd chuck away my spray cans! 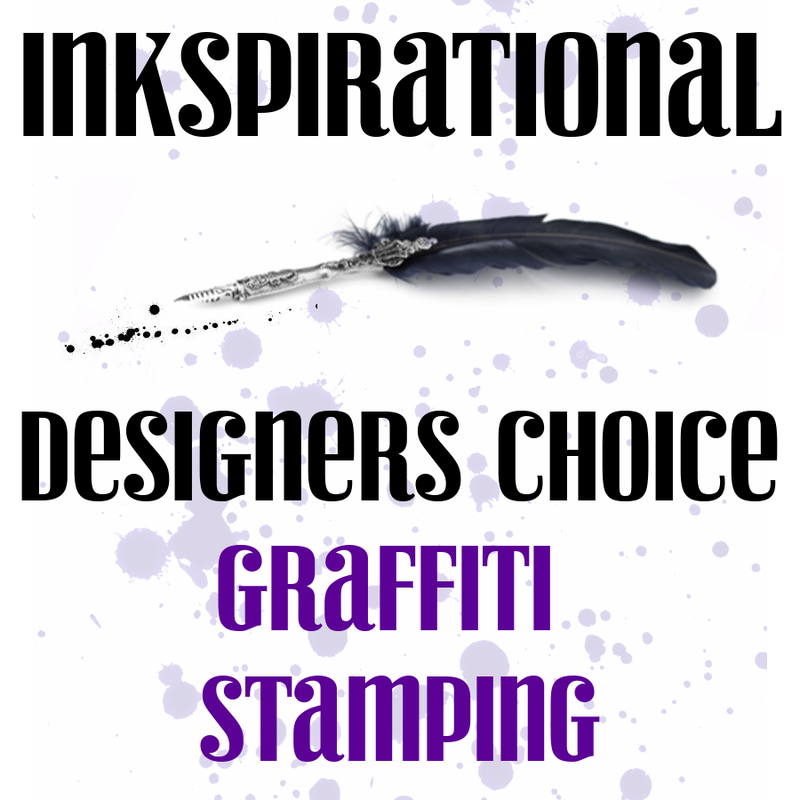 Thank goodness you have the rest of the Inkspirational DT to be inspired by! 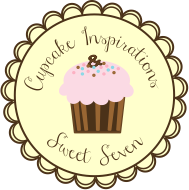 Why don't you head over to Inkspirational and give it a go? City Crafter Challenge Blog - Birthday Case #3 with Prize! 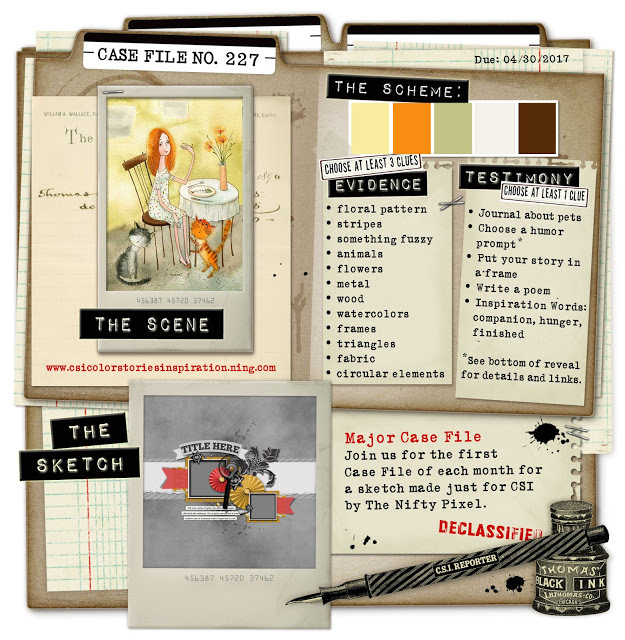 We're still celebrating our birthday at City Crafter and we'll be having CASE challenges all month with the chance to win prizes. 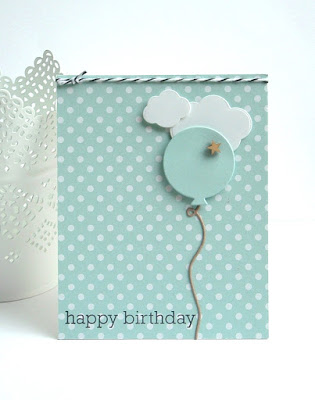 For my DT card I stamped and paper-pieced a balloon (Mama Elephant?) 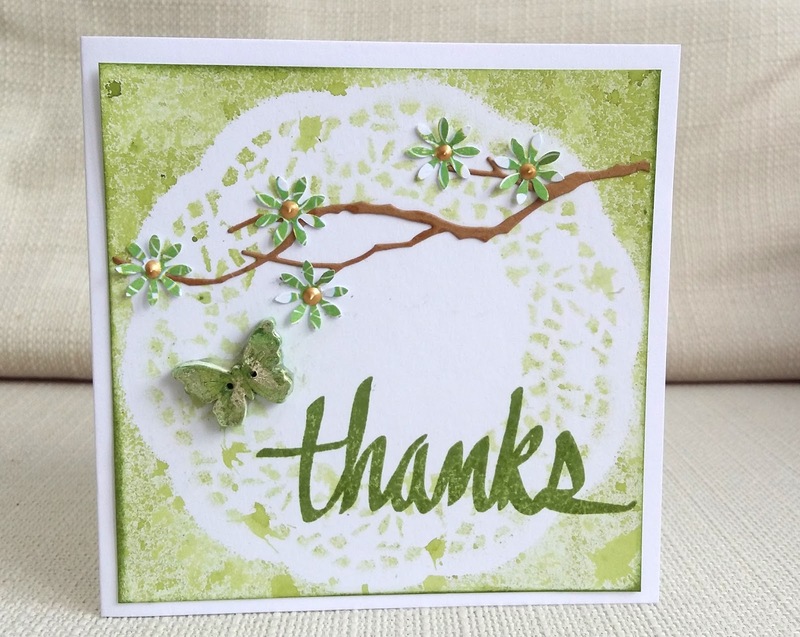 and added a large sentiment made up from Avery Elle and Waffle Flower stamps. Case Stella's card and link up at City Crafter Challenge Blog, and then hop around and leave comments at the following blog list. I hope to see your creation in the gallery! 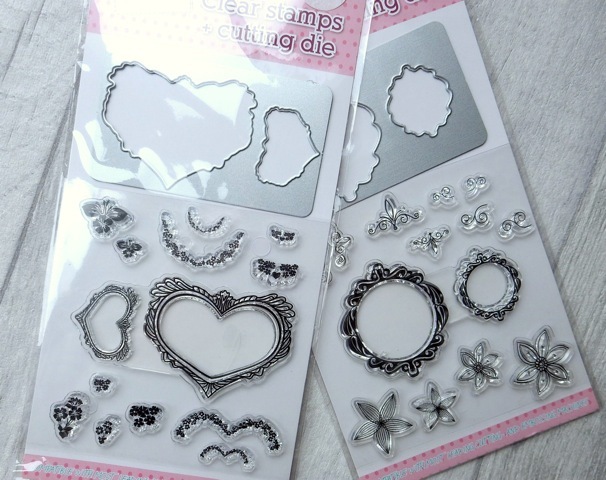 I was lucky enough to win a prize at Crafting When We Can and the prize was some digistamps by Fabrika Fantasy. 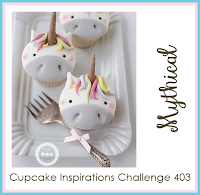 To be honest, I probably would not have normally gone for these but I noticed the challenge at Cupcake Inspirations is 'mythical' , so I thought I'd try using this image to enter. 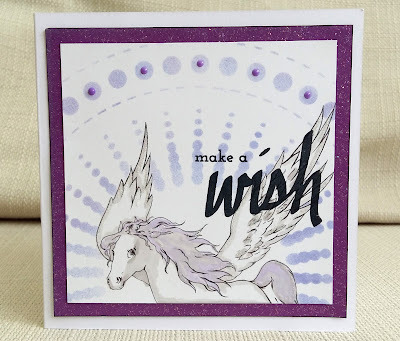 I masked the horse and used a Crafter's Workshop template to stencil with Distress ink. 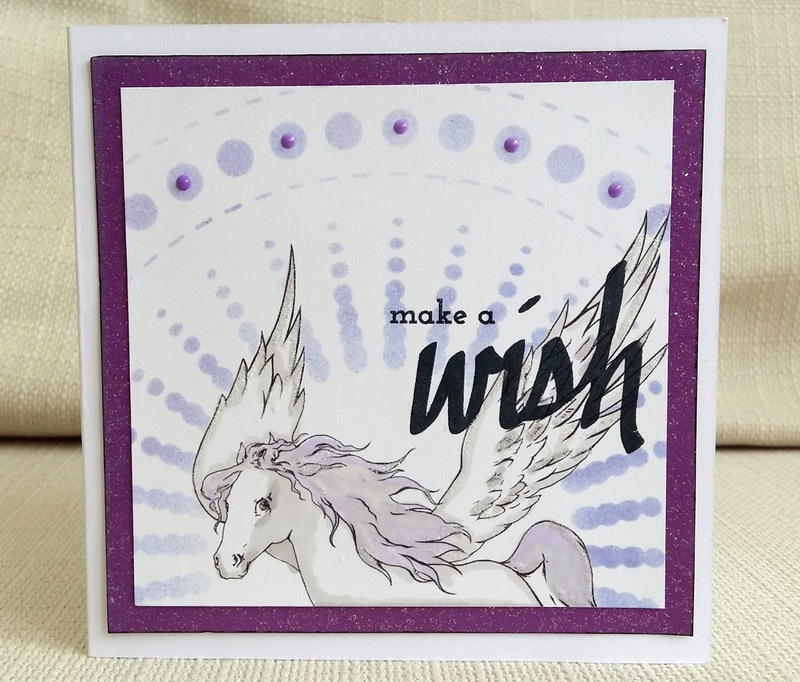 I stamped the sentiment (Alte New), and added Nuvo drops and a mat of glitter paper. Finally, I added glitter. 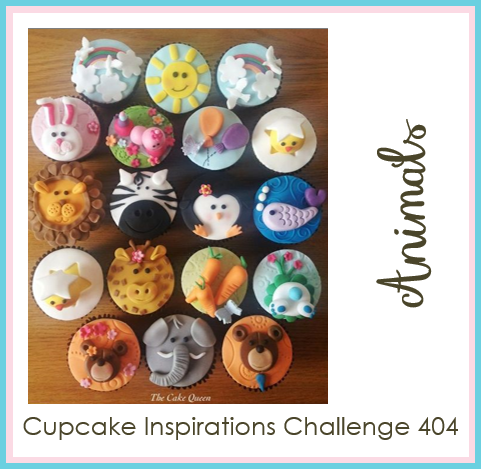 It's the last day of my annual leave and I'm relaxing by scrapping some photos and entering some challenges. Before I went to my scrapbooking retreat recently, I looked around at some challenge themes and sketches, so I could work on them over the weekend, I noticed that Lasting Memories had a challenge coming up - use bunnies, chicks or eggs. 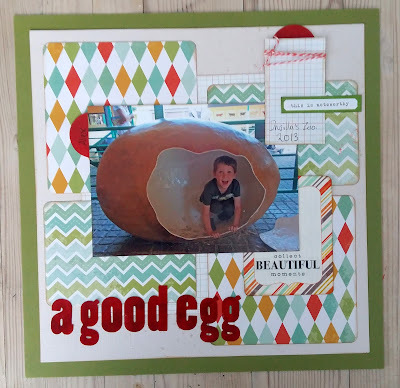 I've been meaning to scrap this photo of my son in a giant eggshell for a while - it wasn't taken at Easter, but in summer. And another request from my daughter. 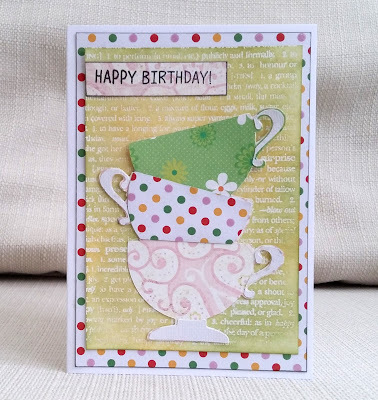 She's going out to afternoon tea for her friend's birthday and so she wanted a tea themed card ...but NOT with a vintage look. 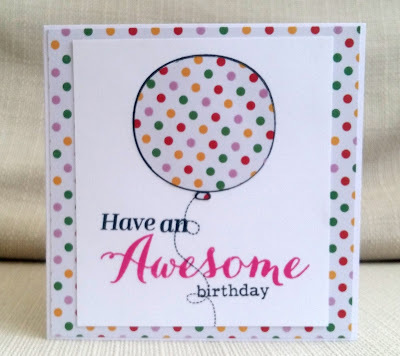 I found a black and white digi of stacked cups on Polkadoodles Picknix cd1 and I turned it into a electronic cutting file, which I cut on the Silhouette, The background is a Hero Arts birthday text background, clear embossed and coloured with Distress ink. The sentiment is Waffle Flower. 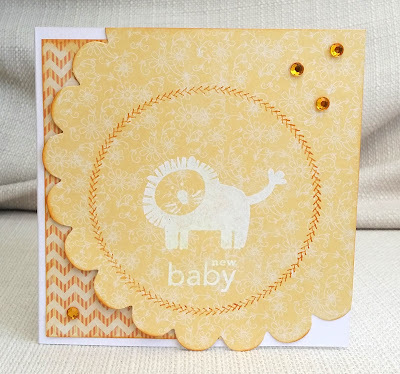 My daughter, well known for giving me last minute crafting challenges, actually gave me advance warning that she needed a baby boy card for her friend and it was made and given to her weeks ago. You can see I've done something a little experimental with shape on this card - not sure if it works - but if she doesn't like it she can always go to a shop and buy a card (gasp!). Anyway, I stamped and white embossed the lion (Little Yellow Bicycle) and sentiment (Creative Expressions? ) and the stitch-like circle (49 and Market). 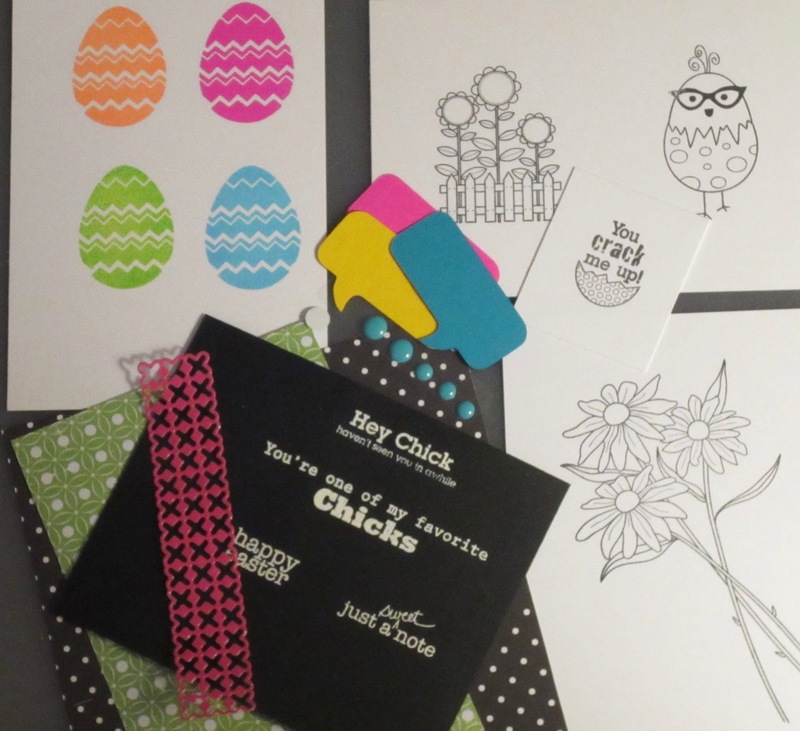 Did I mention I was at a scrapbooking retreat last weekend?!? 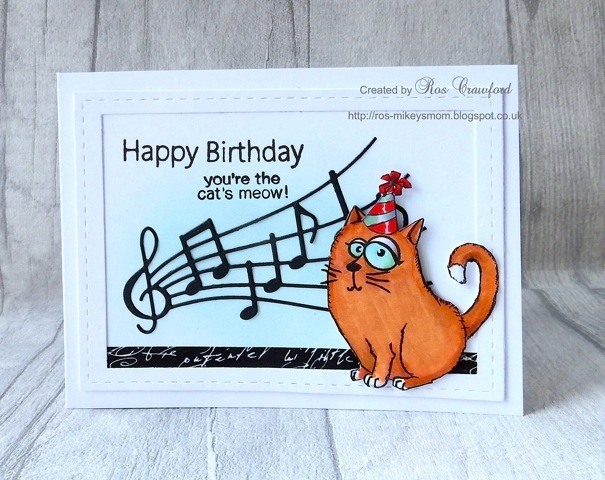 Well, it turned out to be one woman's birthday and so I wanted to make a card at the last minute with the stuff I had with me. 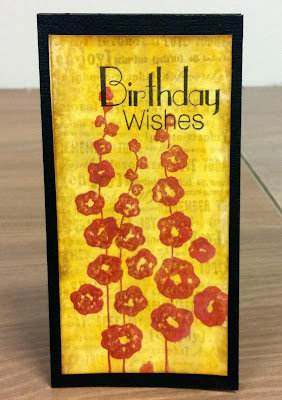 I made a background using Lindy's Stamp Gang gold stain and repeatedly stamping it with a Hampton border text stamp. 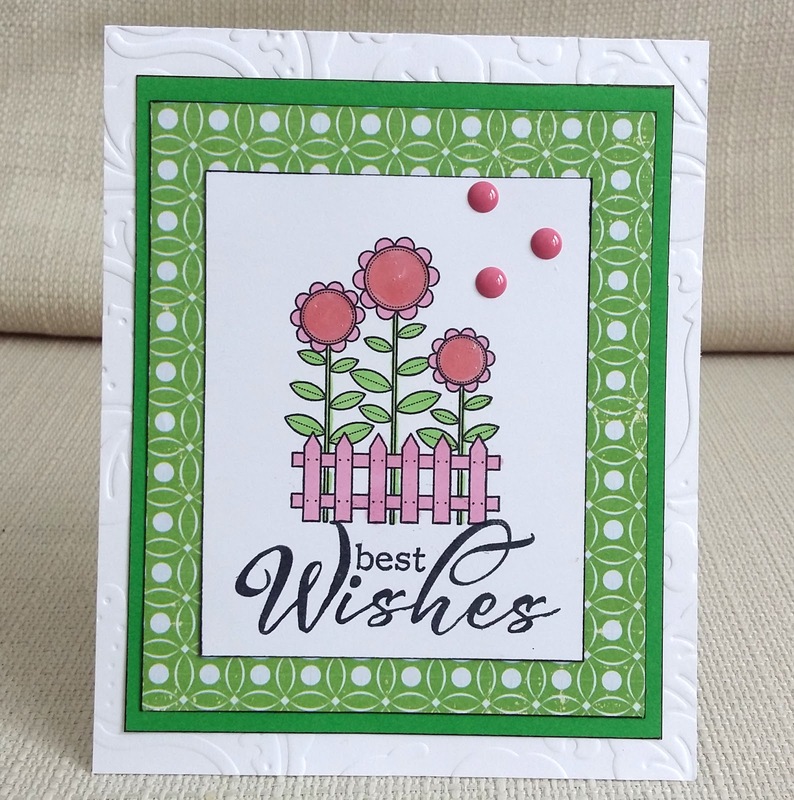 Then I stamped the flowers (Impression Obsession) in red ink. 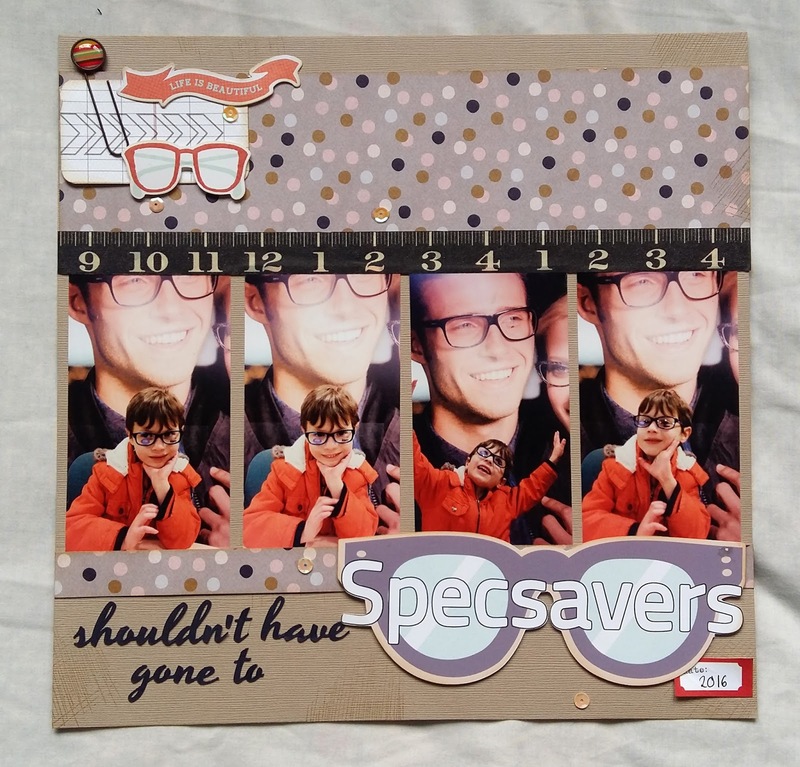 I made a black card base for it and added a Clearly Besotted sentiment. 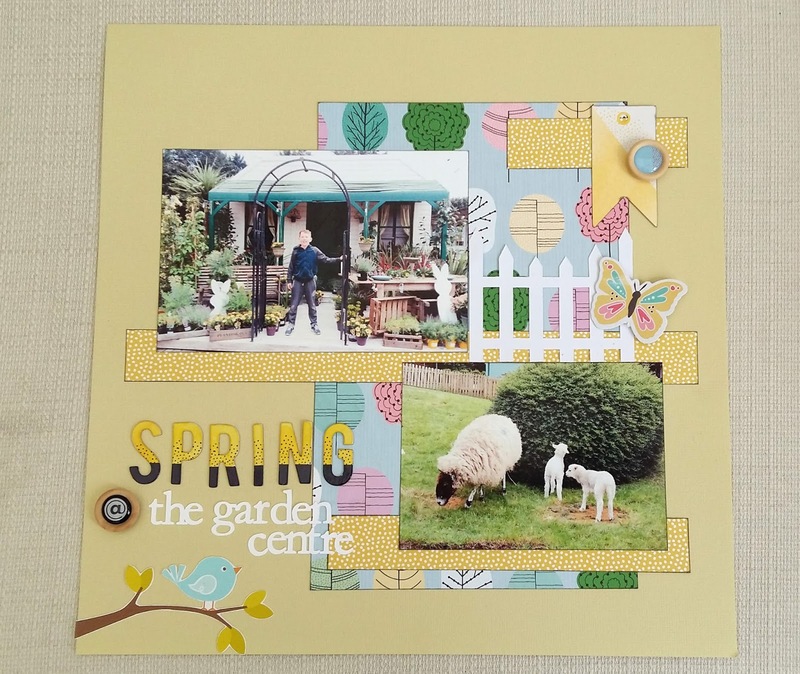 The fourth and final day of my card kit swap with Nonni and Pia. 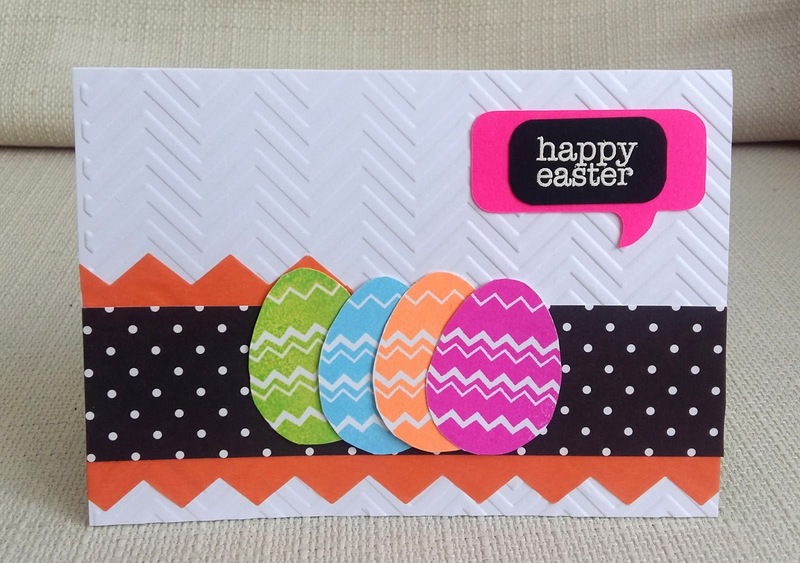 Today we are sharing the cards we made by mixing up the three kits. 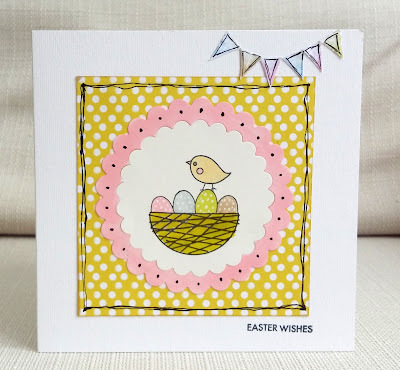 For my first card (above) I used the bunny from my kit, coloured with markers, The patterned paper was from Pia's kit and the speech bubble and enamel dots were from Nonni's kit. 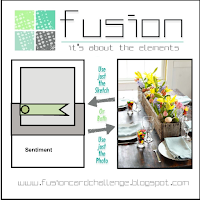 I added sentiments by Creative Expressions. The other day my grandson had hurt himself and was crying, so to distract him , I told him to choose himself an Easter card. This was the one he chose without hesitation. It could have almost been shown on day 2 because it's almost all Nonni's kit ( the eggs, the spotty paper, the speech bubble and the white embossed sentiment). But I added the washi tape from my own kit...I'm not sure if this will have survived the journey to Pia and Nonni ! 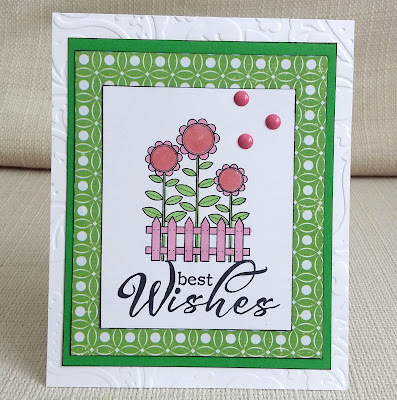 Finally, I made the background for this card by spraying through a doily from my own kit. The resin butterfly ( which I coloured with gold wax and a green powder) and the branch are from Pia and the blossoms were punched from Nonni's paper. 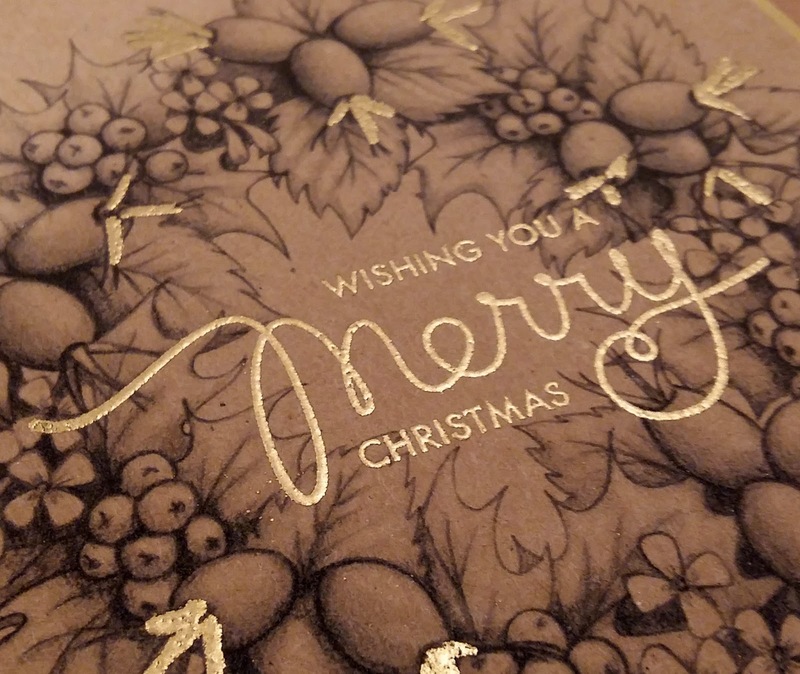 I added an Alte New sentiment and gold liquid pearl. And I still have bits left over from the kits to play with! This has been such a fun swap - Nonni and Pia are two amazing crafters and really lovely people to swap with and I hope you will go and see all their four Spring Card Swap posts. 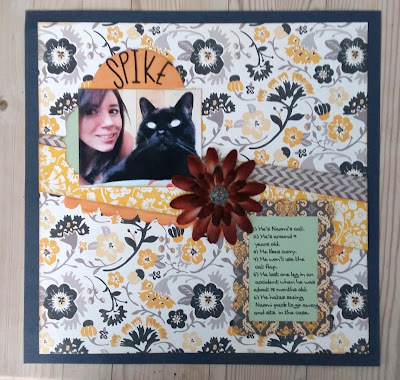 Here's another layout I made last weekend. 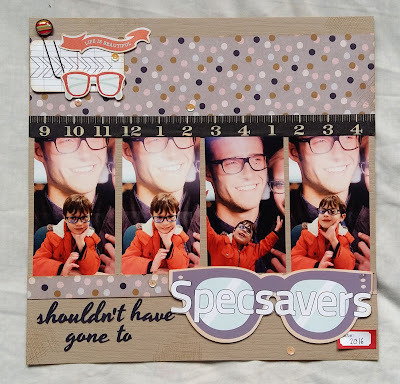 I had taken my grandson with me to collect my glasses and he started to clown around with a display pair. I made the title using the Silhouette , using both fonts and print-and-cut. Day 3 of my card kit swap with Nonni and Pia. Above is the kit that Pia made and sent to us. 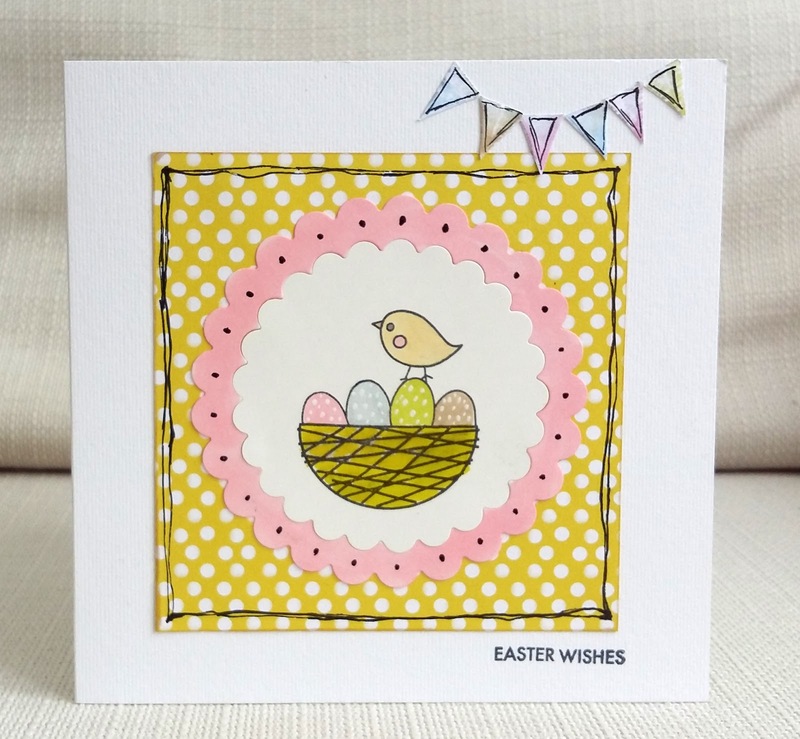 It has a really fresh, spring-y feel. 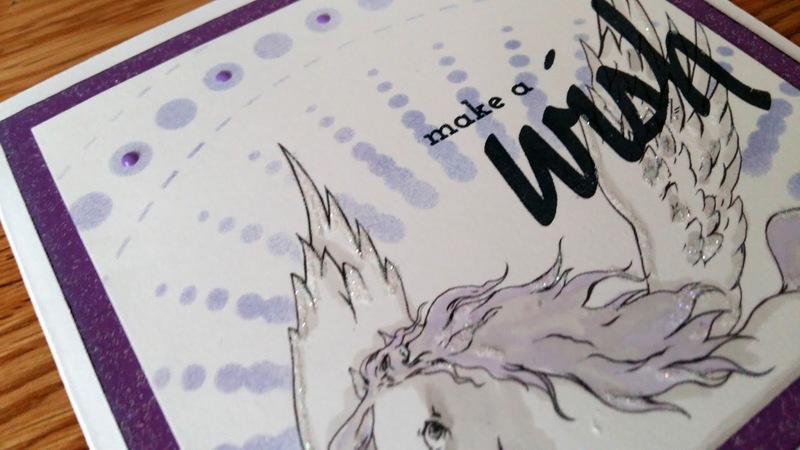 The image, spotty paper and the banner paper were all from the kit, I added a sentiment, white gel pen , die cut cicle and lots of doodling. 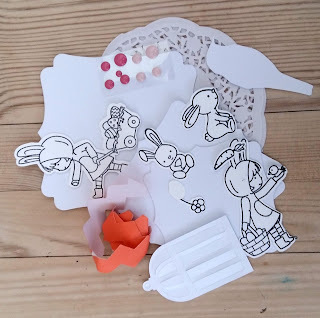 Please go and visit Pia and Nonni's blogs to see what they did with this kit. 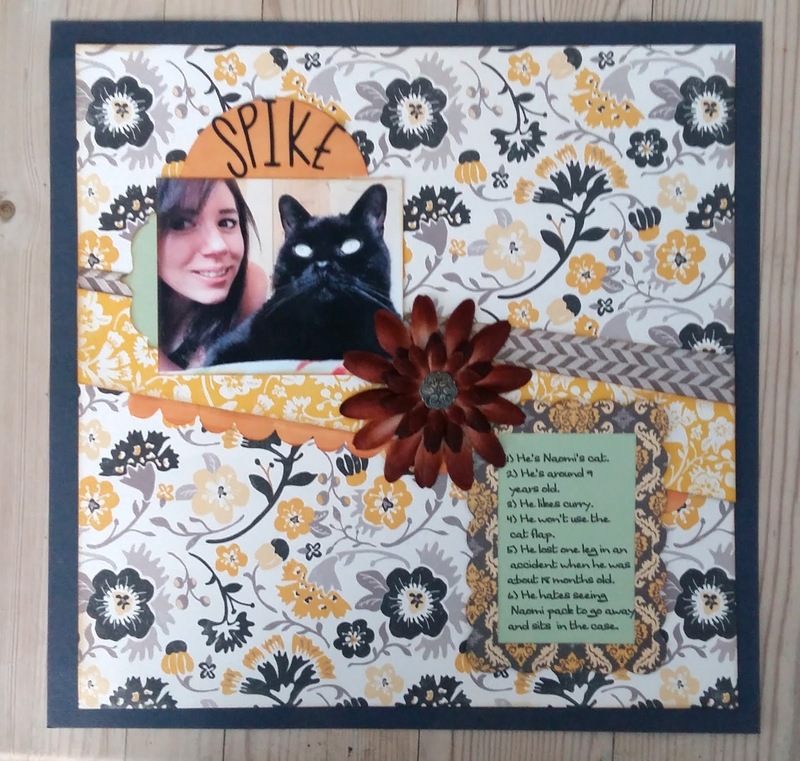 The picture - my layout is about my daughter's cat. Colours - all in there! Topic: Document something about pets or other animals. 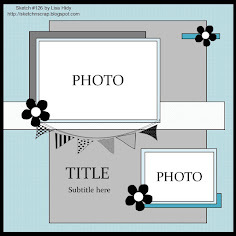 Presentation: Write your story inside a frame. 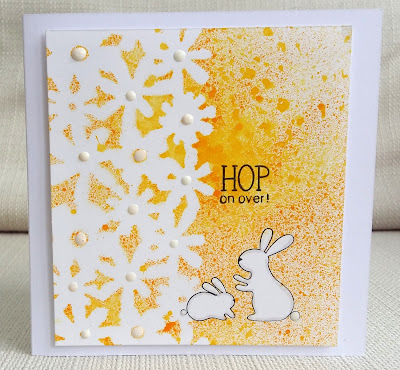 I'm doing another card kit swap with Nonni and Pia. Above is the kit that Nonni made and sent to us. I was immediately struck by the mix of dark and very bright colours - very different to my kit. I think this is my favourite as it is so different for me. 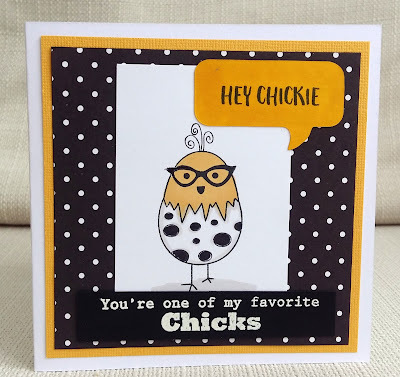 The image of the chick emerging from the egg was coloured with markers . I darkened the yellow on the speech bubble and stamped 'hey chickie'. Apart from the yellow mat, everything else was from the kit. 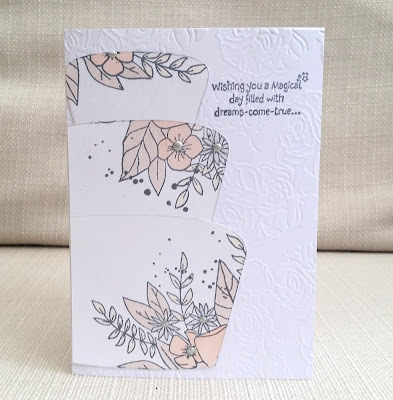 Now, if you're wondering what happened to the other items in the kit, don't worry - I made some cards mixing up the kits and I'll be posting them later in the week. But don't expect to see anything made with the flower bouquet image..that was a casualty of my clumsy colouring. 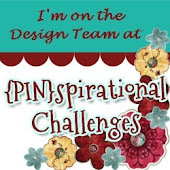 Tomorrow I will show you Pia's kit and what I did with it. 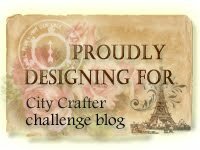 City Crafter Challenge Blog - Birthday Case # 2 with prize! 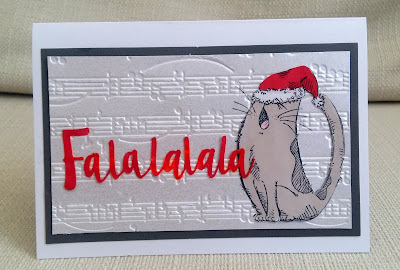 For my DT card I made a Christmas card, using a cat stamp by Katzelcraft. I added a Santa hat from a different Katzelcraft set and coloured him with markers. 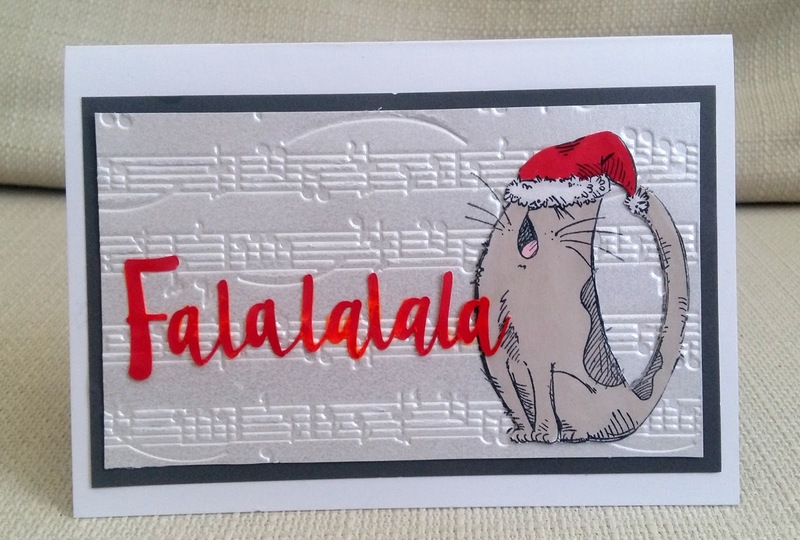 I layered him onto an embossed music panel and cut 'falalallala' on the Silhouette. 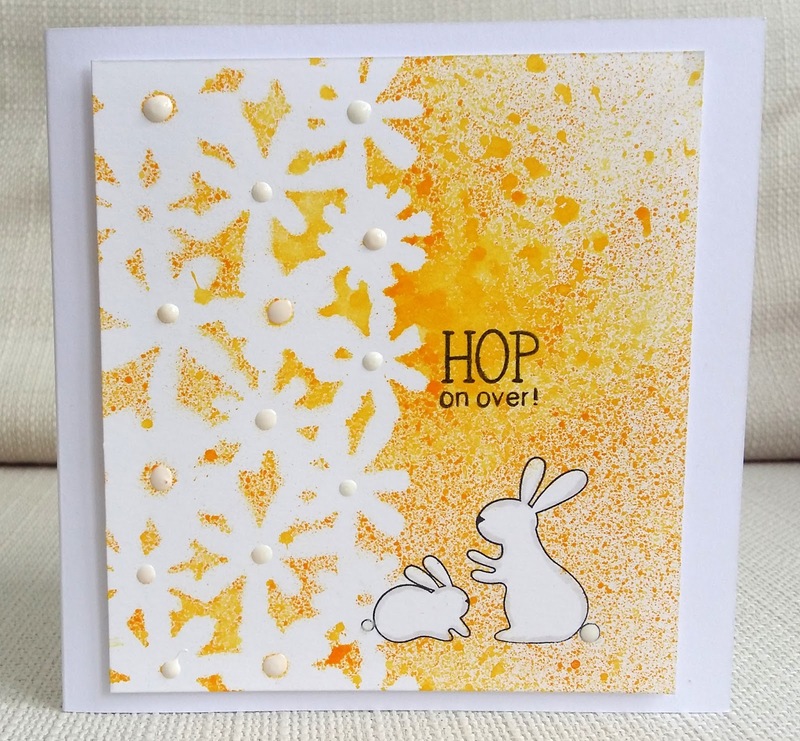 Case Ros's card and link up at City Crafter Challenge Blog, and then hop around and leave comments at the following blog list. 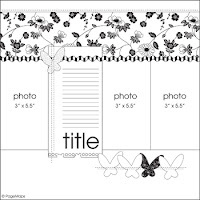 Above is the kit that I made and sent to them. 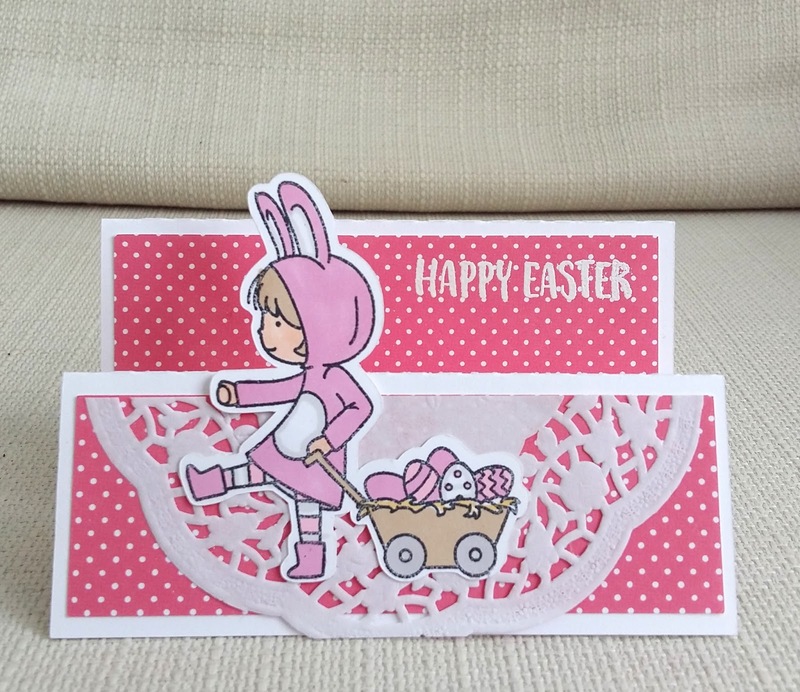 The main event are the stamped images from Neat and Tangled' Cottontail Cuties' set. I'd seen this set and wanted it but felt that I might not get much use out of it because it's so specifically Easter, However, when we decided to do this swap, I felt able to justify my purchase! Another 'cutie' coloured with markers. 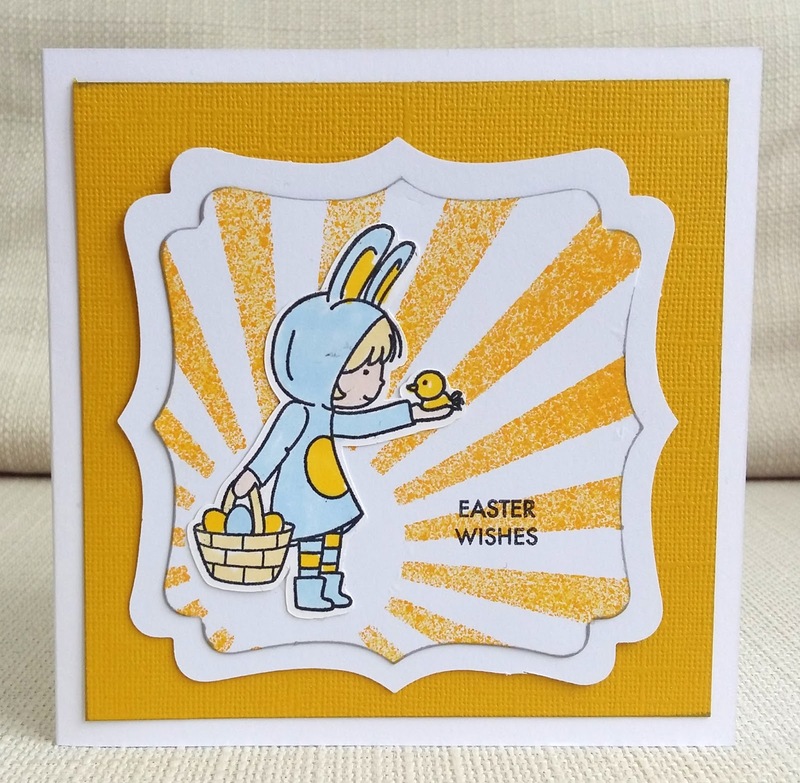 I used two of the die-cut labels and spray - stencilled some sunshine. Now you might be wondering if that's all I used from my kit, but I did use more, but mixed with stuff from the other kits, and I'll be posting these later in the week. 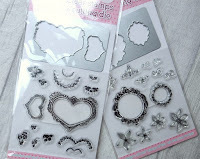 Tomorrow I will show you Nonni's kit and what I did with it.